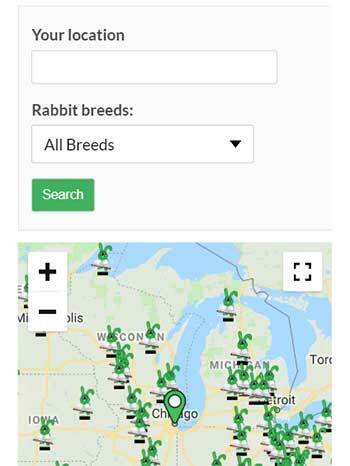 Home » How do I litter train my rabbit? How do I litter train my rabbit? Have you been told that myth that you must surgically alter your rabbit before he/she can be liter trained? If so, this article is for you. We will cover the guidelines and techniques used for successful training, whether your bunny is intact or not. Litter training a rabbit is no harder than litter training a kitten. In essence, rabbits are clean animals by nature. Domesticating them has not changed that factor. In fact, most rabbits will naturally choose one specific corner of their cage as their main bathroom spot, regardless of it there is a little pan placed there or not. However, if you choose litter-pan training for your bunny, the first thing you need to do is to buy a litter pan; the same kind that you would buy for a cat, but make sure that it will fit, without using more than ¼ of the space of the cage. 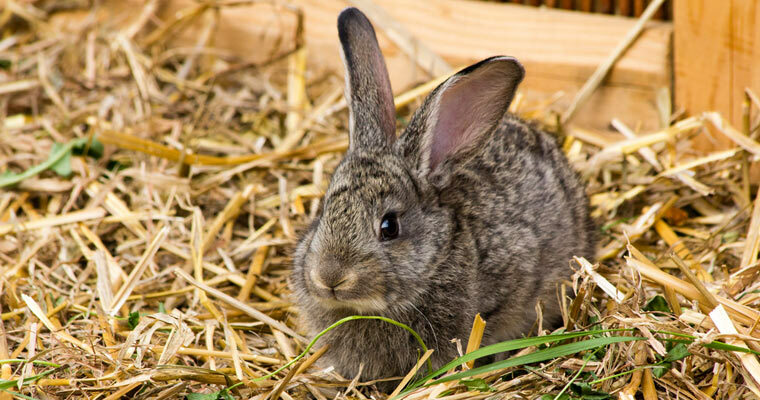 Now, place about an inch of the same bedding that you currently are using for your rabbit, which should either be straw, or a cob-based or pine-shavings, and evenly covering the bottom of the pan. Next, look inside the bunny’s cage. In one of the 4 corners, you will notice that there is a spot with more urine soaked bedding and droppings. With a scooper, or even a gloved hand, pick up that soiled bedding and place it inside the litter pan. Then place the pan into the same corner that you soiled bedding was removed from. Sit your bunny in the litter pan, and you’re in business. 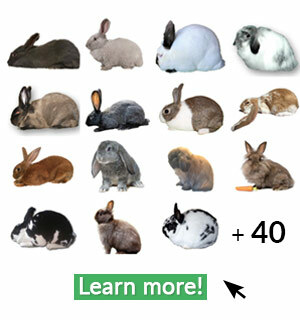 You might also like: How to care for a rabbit? 10 easy Steps! Contrary to popular opinion – rabbits do NOT have to be spayed or neutered in order to be trained to use a littler pan. Sexually altering your rabbit has nothing at all to do with the fact that they are capable of learning and they can are relatively clean animals. Where they choose to use the bathroom is simply no different than in comparison to a cat. To those who may challenge this statement, consider this: Do cat’s need to be ‘fixed’ before they will use a litter pan? No, they do not; nor do rabbits. Furthermore, if the bunny you are training is a house-bunny with freedom to roam all over the house, you would want to first confine him to one smaller area, following the above instructions until he is consistently using the litter pan. This would be done in the same manner as potty-pad training a puppy. Once this has been mastered, gradually increase his roaming area, but you may wish to place multiple litter pans throughout the home, until he learns where to go. On a side note, you may also notice that rabbits tend to defecate while they are eating. Therefore, you may find it beneficial to place your bunnies feed and water crocks near the litter pan. Otherwise, if your rabbit doesn’t seem to take to using the litter pan immediately, just be consistent with cleaning all of the soiled bedding out of the other cage areas and placing that into the pan. It might take a few days or so, but don’t give up, within no time, the litter pan will become your bunnies new bathroom area. Just remember – the key to success for any training is consistency and patience. 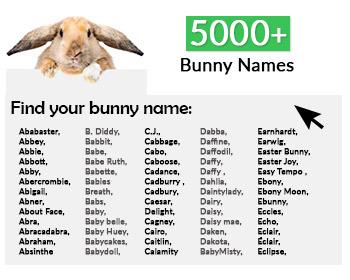 Where to buy a rabbit?